Douglas Camfield is still regarded as a master of his craft; a television director who made numerous memorable episodes of shows such as Doctor Who, Blake’s 7, The Nightmare Man and The Sweeney. During his career, which spanned twenty years and 163 productions, Camfield worked on many popular and groundbreaking series of their day, such as Public Eye, Shoestring, Van der Valk, Z Cars and Paul Temple, not to mention many long since forgotten and lost productions. His work is frequently cited as the best of any series he worked on. Camfield the man is no less interesting than his work. Adopted by an army family, he chose television over the military, and rose from the cutting room floor to become one of the new wave of BBC directors, determined to prove the potential of the medium and take it further away from its roots in theatre and radio and into cinema. He became the go-to man to help launch new and exciting series which in some cases shaped the future of television on both the BBC and ITV. 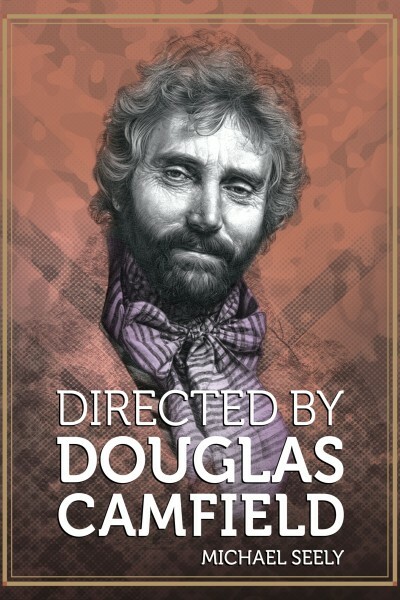 Told with help from his friends and family, Directed By Douglas Camfield is the story of a man who commanded the love, loyalty, respect and commitment from his cast and crews, how he overcame seemingly insurmountable hurdles, including his health, and who took risks with his career in order to achieve his goals.